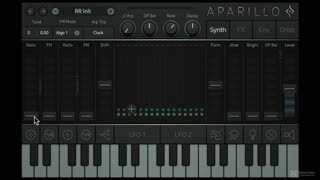 Sugar Bytes’ Aparillo is unlike any other synthesizers. 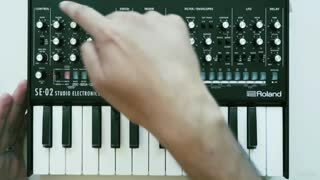 Demystify this very unique instrument in this course by synthesis expert Rishabh Rajan! 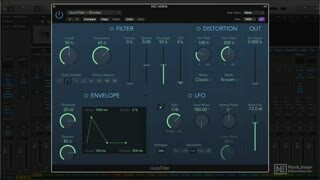 iZotope’s VocalSynth 2 is here and so is our star trainer Rishabh Rajan to explain you how this cool new plugin works! 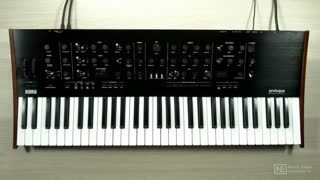 Check out VocalSynth 2 here and see what it can do for you! 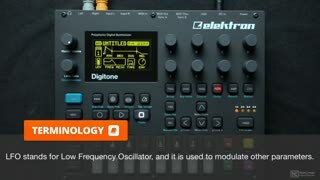 A deep synth like Elektron’s Digitone requires an in-depth course! 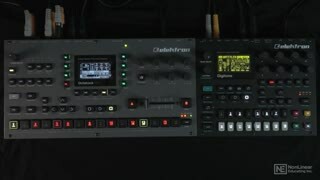 Watch this 20-tutorial course by artist and trainer Thavius Beck, and learn to get creative with this modern-day FM synth monster. 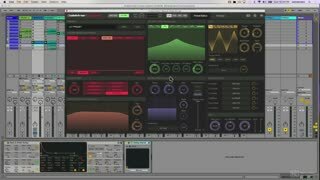 Bitwig’s Phase-4 utilizes phase distortion and phase modulation synthesis to shape sound in very unique ways. 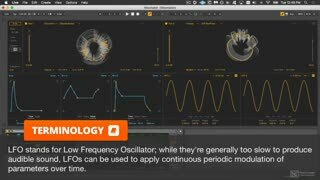 Learn how to get the most out of this four-oscillator synth in this in-depth course by Bitwig Certified Trainer, Thavius Beck! 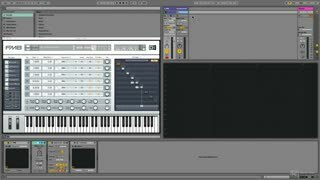 Arturia’s CMI V is a faithful recreation of the Fairlight CMI series IIx, the music workstation that revolutionized music production in the ’80s. 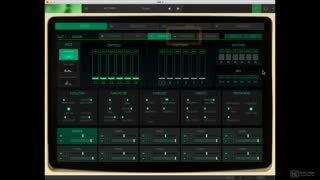 Learn all about this digital sound design powerhouse with trainer and synthesis expert Nigel Broad. 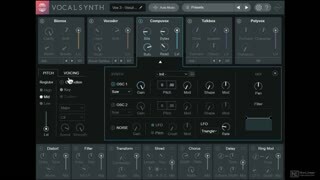 The new Synthetic Rig V3 Bundle for Reason is an expanded collection of synth tutorials designed for the electronic music producer. This in-depth course, included free in the Props RE bundle, explains them all and shows them in action. 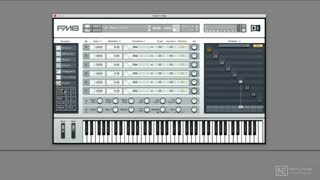 Wavetable is the newest synth in the Ableton Live 10 instrument collection. 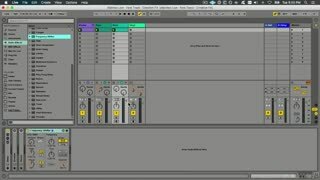 Watch this course, by Ableton Certified Trainer Noah Pred to learn how this complex synth works! 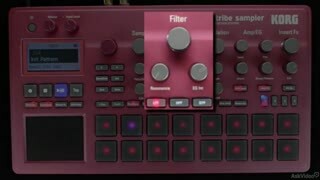 Native Instruments Komplete 11 is a must-have for every electronic musicians and producers. 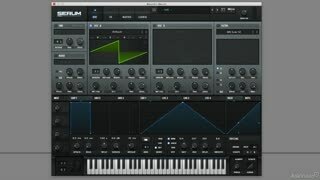 Join Native Instruments Product Specialist Matt Cellitti in this course, and learn how to get the most out of Komplete’s flagship synthesizers. 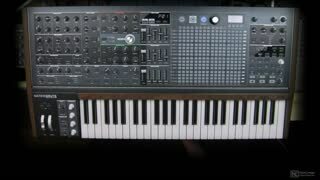 The result of a collaboration between Roland and Studio Electronics, the SE-02 is the first true analog synth of the Boutique series. 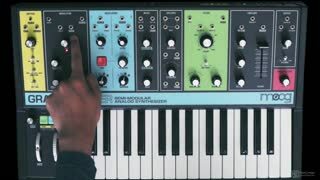 Learn this Minimoog-inspired synth inside out in this course by synthesis expert Rishabh Rajan. The NLE AudioPedia series, our video-based audio encyclopedia, is an invaluable resource for sound engineers, musicians, students, educators and all audio enthusiasts. 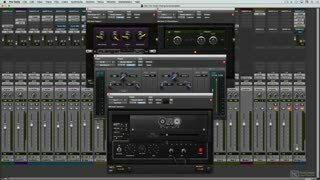 This eight installment is about Mixing and Mastering terminology. 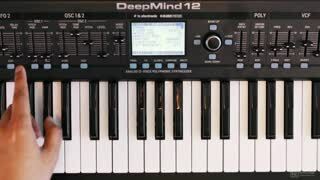 Behringer's DeepMind 12 offers a lot of sonic possibilities at a very attractive tag price. 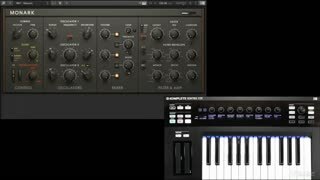 As the name suggests, this synth is deep, so dive into this inspiring course, and see what Behringer’s DeepMind synths are all about! With its vast array of knobs and faders, and its complex-looking matrix panel, Arturia’s MatrixBrute is not your typical synthesizer. But how do you start learning such a beast? 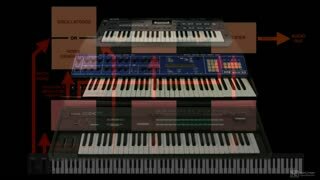 Watch this 25-tutorial course by synth expert Marc Doty… that’s how! 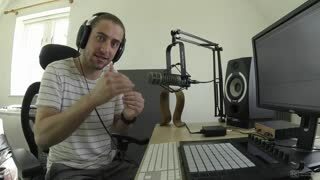 From epic impacts to white noise sweeps, sound effects are an essential part of any EDM track. 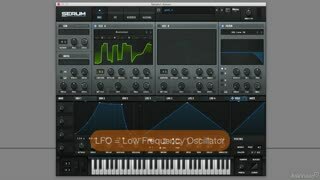 Expand your synthesis techniques with these advanced FX sound design tutorials by our dance music expert, Multiplier! 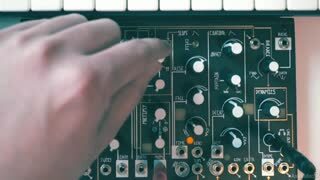 There’s no doubt about it: Arturia’s Moog Modular V is a very complex instrument. 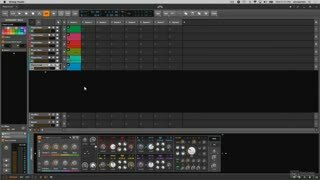 And now that you've learned the essentials, it’s time to dive deeper and discover the advanced features of this powerful modular soft synth with sound designer Rishabh Rajan! 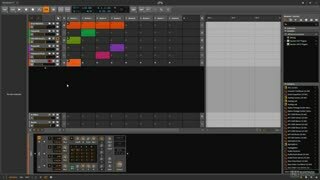 Pads are a key arrangement texture for all kinds of music... and especially dance music. 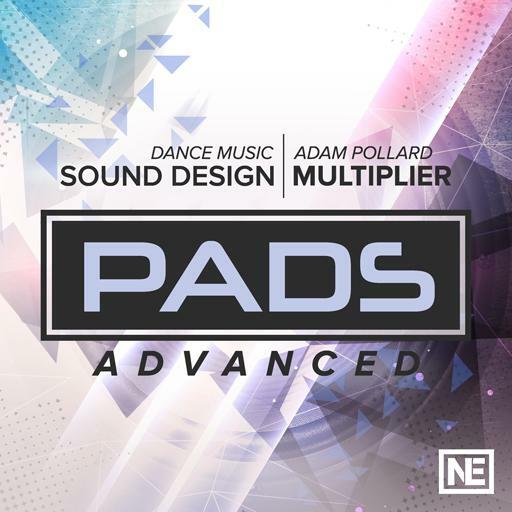 Join Adam Pollard ,AKA Multiplier, to learn the advanced art of pad creation… and your EDM tracks will thank you. 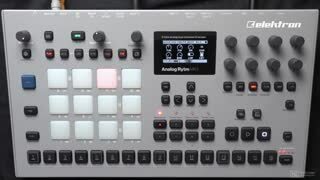 Now that you know the basics of designing drum sounds, it’s time to get deeper. 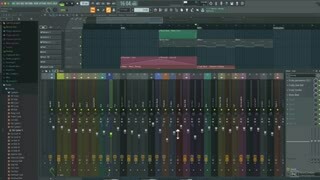 In this advanced dance music sound design course, EDM expert Adam Pollard delivers a wealth of innovative tools, tips and inspiration to help you design killer beats. 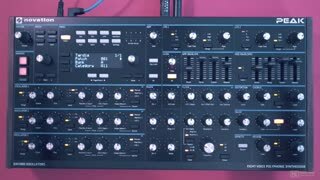 Novation’s Peak synth is a real powerhouse in a compact desktop form. 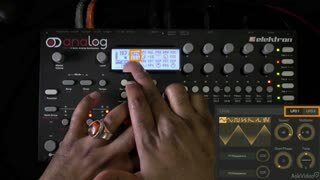 Watch this course by synthesis expert Rishabh Rajan, and learn to master this fantastic Analog/Digital hybrid polysynth! 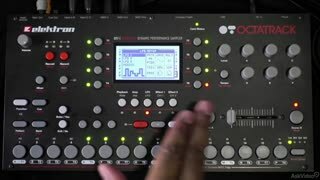 Is Elektron’s Analog Heat too hot to handle? Well, don’t sweat it because the amazing Thavius Beck is here to show you how to tame this fiery monster. 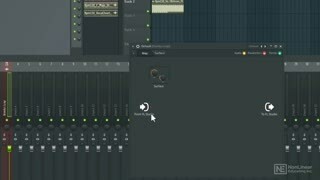 Watch this 21-tutorial course and put some analog warmth into your music! 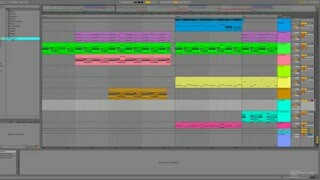 Ableton Live comes with lots of great-sounding and colorful effect devices. Get inspired as you watch this extremely focussed, Noah Pred FastTrack™ course on Live’s collection of creative effects! 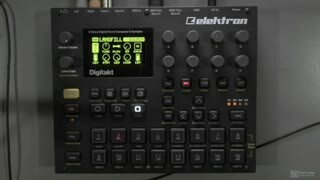 Elektron’s highly anticipated Digitakt is here, and so is Elektron artist and trainer Thavius Beck with an in-depth look at this amazing new drum machine. 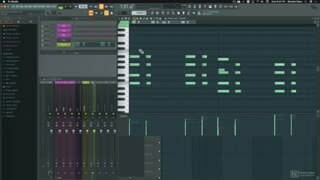 Watch this course and get ready to drop some beats! 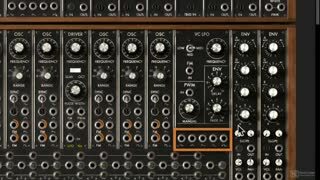 Arturia’s Moog Modular V is one of the easiest and affordable ways to experience modular synthesis. Learn how to tame this monstrous rack of virtual modules with trainer and synthesis expert Rishabh Rajan. 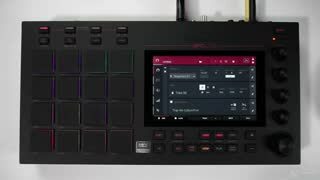 Who doesn't love beautiful evolving pads? They are the perfect ingredients to use when you want to enhance the ambience and add emotion in your music. 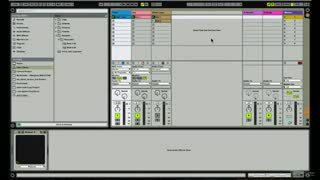 In this 22-tutorial course, dance music producer Adam Pollard explains how to design your own, from scratch, using any synth. 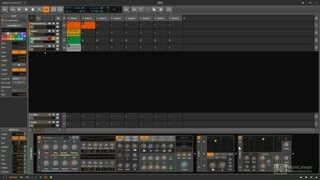 The new Modulators in Bitwig Studio 2 make it one of the most powerful and flexible DAWs anywhere. 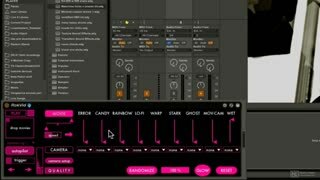 In this exclusive 26-tutorial course, Bitwig Certified Trainer Thavius Beck gives a detailed tour of these amazing new devices! 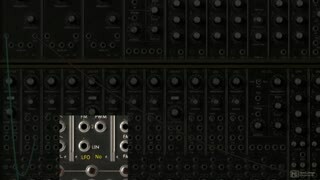 The Make Noise 0-Coast is a little semi-modular desktop Eurorack synthesizer with lots of power under the hood. 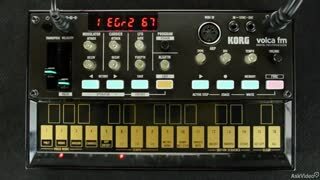 Watch this in-depth course by synthesis expert Rishabh Rajan, and get ready to make some noise! 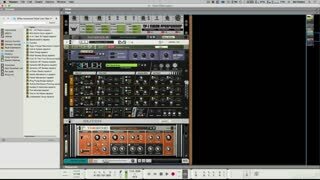 Multiplier, AKA Adam Pollard, is back with an advanced look at designing bass sounds. 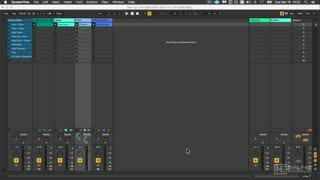 This course takes you “deep” into the subtle and complex techniques that’ll help make your dance music bass parts rock the floor! 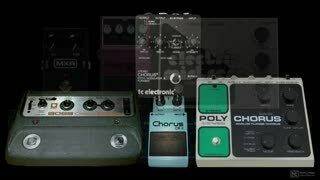 Time and Space FX are essential devices in any kind of production. 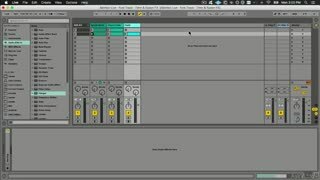 Join Certified Trainer Noah Pred in this FastTrack™ course as he explains how these essential, Ableton Live FX function, and how to best use them in your rack. 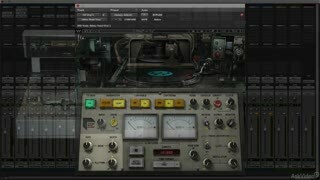 Master your recordings and get that classic Abbey Road Vinyl sound using the Abbey Road Mastering Collection plugins by Waves. 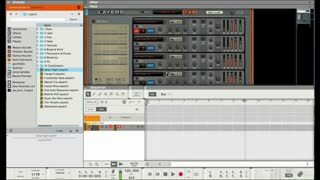 This course, by audio expert Joe Albano, explains and explores every aspect of these emulations. Watch it now!